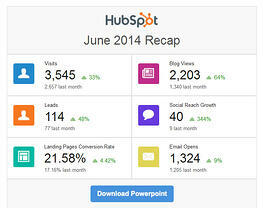 It's time to review the monthly marketing report. Are your eyes already glazing over? Do you suddenly have a deep desire to review budgets, make that dentist appointment, or pull out what is left of your hair? We get it. Marketing reports and meetings, even with their charts and comparisons, can be overwhelming and even boring. In addition, you don't want to have to wait an entire month to know if your marketing is working or not. 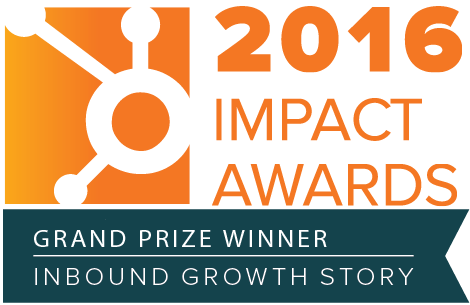 So, what other options do you have when you use HubSpot? In a word - many! 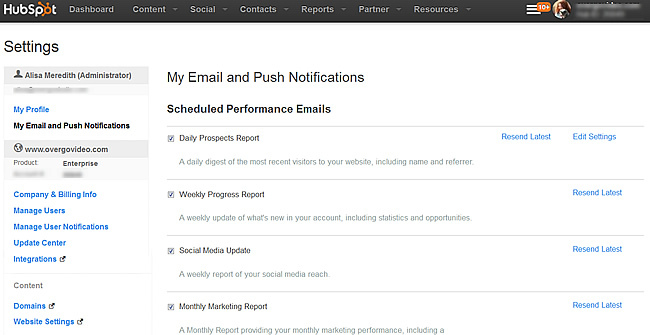 You can ask HubSpot to send a variety of activity notifications, depending on how much you want to keep on top of things. Turn yours on or off by going to Settings and then choose My Email and Push Notifications.You can have many of these notifications sent to you on demand, as well. Just click the "Resend Latest" link and check your email! Let's look at what is included in each email notification and figure out which ones you might decide to receive. The visitors on this report are essentially strangers to you since they haven't filled out a form that would identify them, but you will be able to see the Company Name (lots of times these are internet service providers), page views, how many people from that company have visited, how many leads you have that originated from the company and how they got to your site ("Referrer"). This may not be the best notifcation for tracking progress, since it shows you all the visitors who were on your website the previous day without comparing historical data or showing much in the way of behaviors. 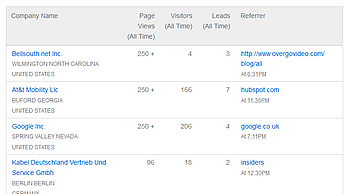 The weekly progress report shows visits and leads for the week compared with last week. You'll see how landing pages are performing, and how many views your blog posts received.This is a nice way to get a quick look at what's going on week-over-week. Keep in mind though, that weekly ups and downs should be expected. The content bringing in your visits and leads might be targeting a different audience from week to week. A decrease here is no reason to panic. However, it might be a good reason to catch up with marketing and find out what their plan is for the rest of the month. Wondering how social media marketing is going? Get the social media update notifications. 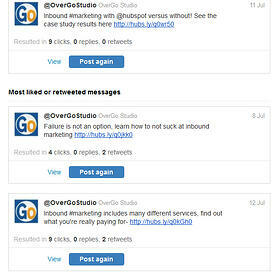 You'll see what kind of engagement and action your posts generate and you can even repost right from the email! 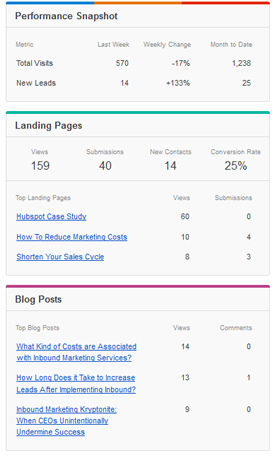 No need to wait for your marketing meeting - get the report sent to you as soon as it's ready. When it comes to you via email, you don't have to dig through pages and pages to get a quick look at your marketing progress. Instead, you'll see a quick snapshot comparing this month to last. Want a LITTLE more detail? Click the "Download Powerpoint" button to get a slightly more in-depth look at your marketing progress. If it is important to you that you know each time a visitor submits a form on your site, ask the form creator to add you as a recipient to those notification emails. This is my personal favorite way to keep my finger on the pulse of my marketing. I love that you can see which form was submitted and on which page (and whether this is a new contact or a reconversion). You get the information submitted on the form, PLUS you can see how they found you. 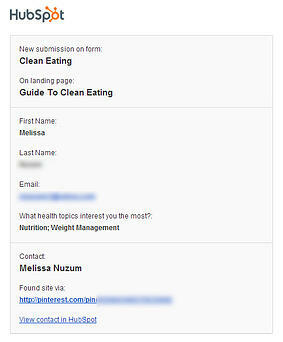 If I want to take a closer look, that "View contact in HubSpot" link takes me right to her details. You may not want to see ALL of these (if your marketing is working you will have a full inbox in no time!). So, ask your marketing team which landing pages are published and have them help you decide which are the most important for you to monitor. If you are frequently away from the office, but want to keep an eye on form submissions and social search results as they happen, you can have these sent to your smartphone. Add the HubSpot app to your phone and then enable the push notifications in your Settings > My Email and Push Notifications. Just want to know when you hit your visits, leads, or customers goals for the month? Enable goal notifications in Settings > My Email and Push Notifications. This is a marketing checkup at its highest level, so as long as marketing is using goals (ask! ), this is one you definitely want to use. The earlier in the month you get these notifications, the better marketing is doing at reaching their goals. Consider having a quick meeting with your marketing team. They can help you decide which of these options will help you feel connected, not overwhelmed. They'll likely be thrilled to see you taking an interest and it may lead to better communication, which will in turn lead to better results! 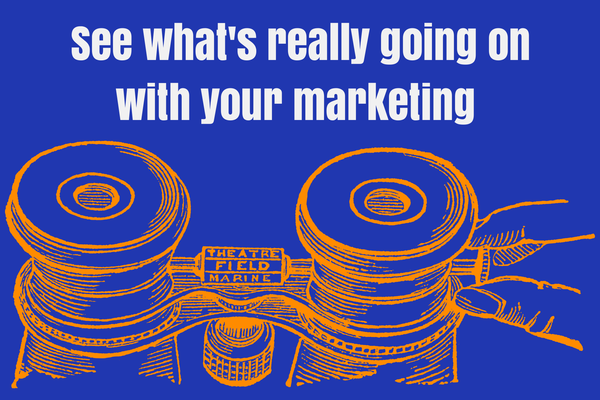 So, go take control of monitoring your own marketing results. When the next marketing meeting rolls around, we promise it will be much more productive!